The Daily Reveille produces weekly newspapers and daily online content at www.lsureveille.com that covers news, sports and entertainment at LSU. The Reveille employs approximately 70 LSU students each semester who work as news, sports and entertainment reporters, columnists, copy editors, designers and photographers. Find The Daily Reveille on Facebook, Twitter and Instagram and in print on racks located across campus and various locations around Baton Rouge including Pennington Biomedical Reseach Center and EBRP Libraries. 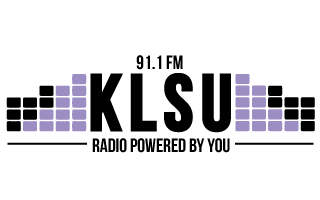 KLSU, a FCC-licensed, non-commercial, educational radio station, broadcasts 24/7 with 23,000 watts of power at 91.1 FM. Listeners can tune in to 91.1 FM from up to 40 miles away from campus, or listen to KLSU worldwide via web streaming. KLSU disc jockeys describe the overall theme of the station as "alternative," but students host specialty shows at night and on the weekends. These shows include genres like underground hip-hop, folk and contemporary funk. The station plays music from student-curated computer playlists, but also has the capability to still spin vinyl or CDs from the live studio. KLSU reports the news, sports and entertainment on air as well. Find KLSU on Facebook, Twitter and Instagram, and stream the station live on the free RadioFX app, available for both IOS and Android mobile device. Check it out at www.radiofx.com. The Gumbo yearbook began publication in 1900. It chronicles news, sports, and entertainment highlights of the academic year at LSU. In words and photos, the Gumbo shows the people, places and events that make each year at LSU unique. In addition to formal portraits of graduating seniors, the book contains snapshots of students and dozens of pages showcasing campus organizations. In 2015, Gumbo created "Humans of LSU" mirrored off the popular "Humans of New York" photoblog in which the photographer not only takes a portrait of the subject but also captures quotes. Find the Gumbo Yearbook and Humans of LSU on Facebook, Twitter and Instagram. The Gumbo yearbook digital archive may be accessed here: https://digitalcommons.lsu.edu/gumbo/. Beginning with the 2018-2019 academic year, the Gumbo Yearbook will be produced in a digital-only format. Tiger TV broadcasts live news, sports and entertainment programs via livestream at www.tigertv.tv and rebroadcasts on WBTR, local cable channel 19. Tiger TV employs approximately 60 LSU students each semester providing the opportunity to work as directors, camera operators, news, sports and entertainment reporters, programmers, on-air personalities and producers. Programming offerings include an ESPN style, live home football game-day show "Tiger TV Tailgate" and newscasts,"Newsbeat."